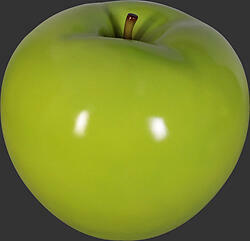 Out of our food advertising collection is this enticing green apple. It has been hand painted for a lively finish. You can display the apple on your farm, market, or a themed event. 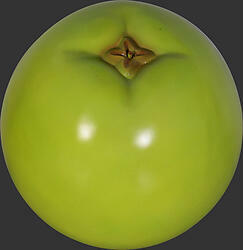 The liveliness in this apple is sure to attract an audience. It is constructed from a resin mold mixed with fiberglass.